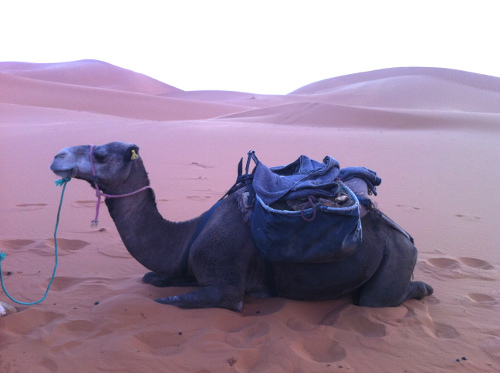 When I dreamed of Morocco, I imagined vibrantly-coloured rugs hanging on clotheslines and piles of oranges arranged on sticky, juice-covered tables. 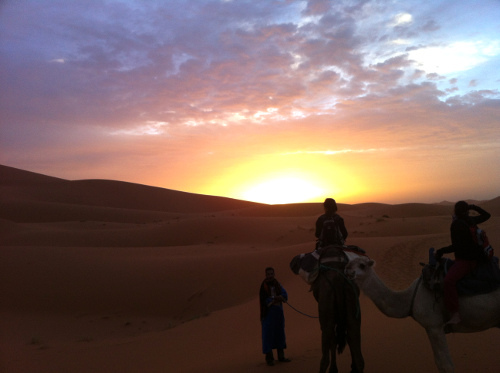 My visit to Morocco this year confirmed my imaginings, yet surprised me with the unexpected. 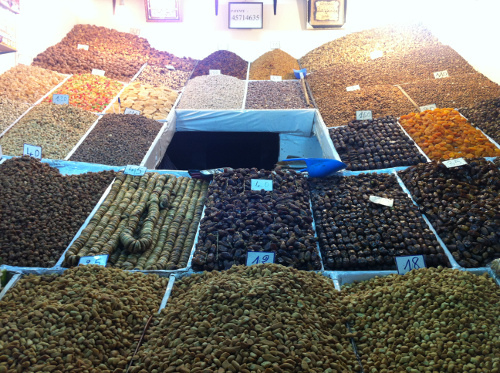 We flew into Marrakech, and dove into Jemaa el Fna, the busiest square/marketplace in the city. This spice store intrigued me because of the hole in the middle – that’s where the merchant pops out—Bonjour! It’s funny, but I look for colours when I travel! 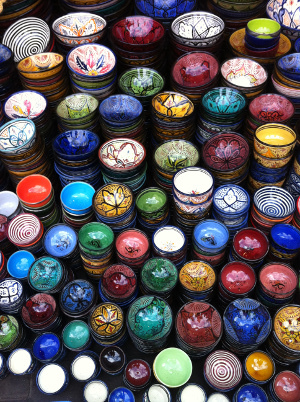 These bowls captured the vibrant colours I was imagining on the plane. 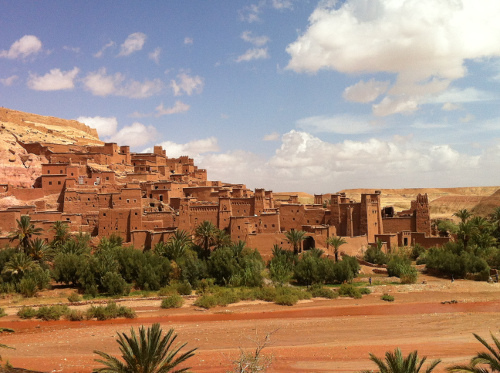 We didn’t stay in Marrakech for very long (only to eat delicious tagine and buy some leather goods!). 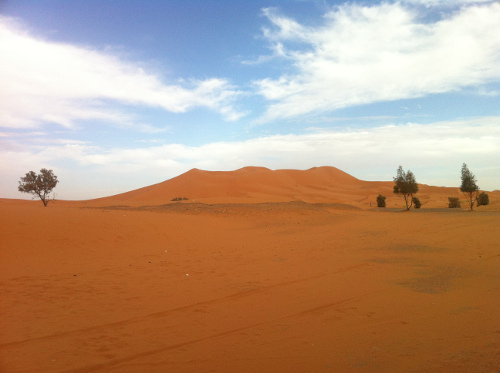 We started to make our way to the Sahara Desert, which was quite far from Marrakech. 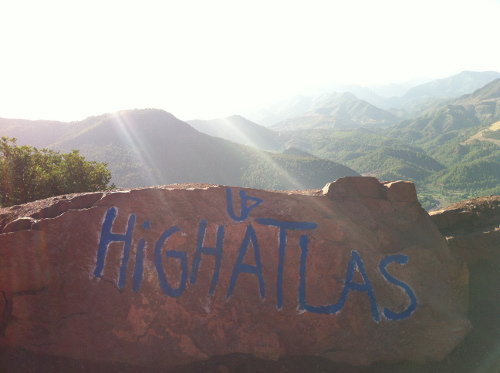 We passed through the mountains of the High Atlas, which were surprisingly lush. 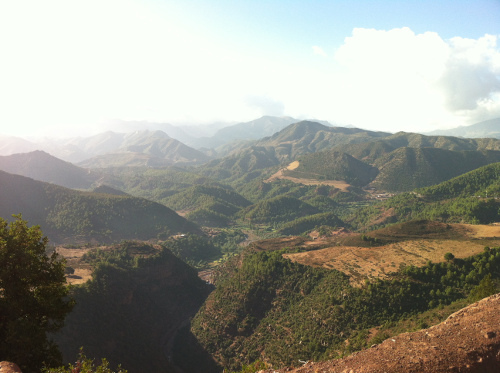 The mountains contained a lot of clay, so they were a beautiful reddish colour. 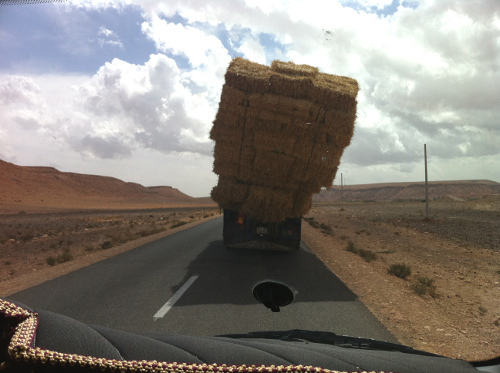 The long bus ride wasn’t boring at all—we chanced upon this (very slow) truck carrying a huge haystack! Plus, our bus driver, Abdou, kept us dancing and singing in the bus the whole way. 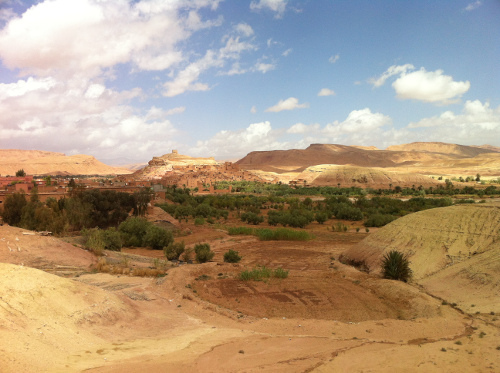 We had to make a stop at Ouarzazate, the door of the desert (or as I like to call it, Morocco’s little Hollywood). A guide took us around the city, and regaled us with tales of being an extra in shows like Game of Thrones. 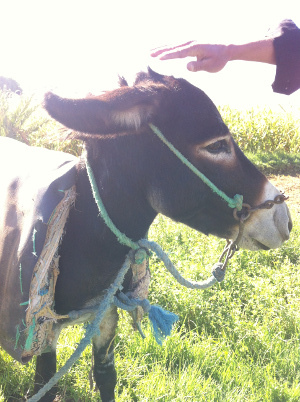 We also took a little break to breathe in the fresh air at a little farm, where we met this very friendly donkey. 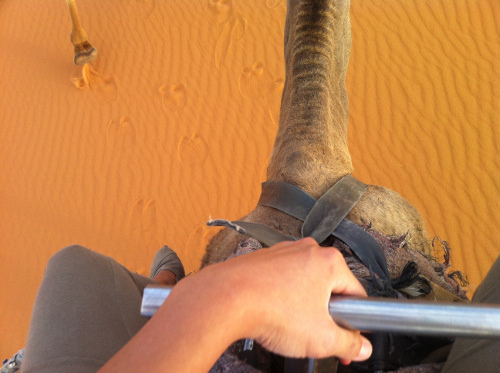 If you’ve never been on a camel before, you should know that holding on isn’t the easiest thing sometimes. They lurch up and down the sand dunes, hence my death grip. 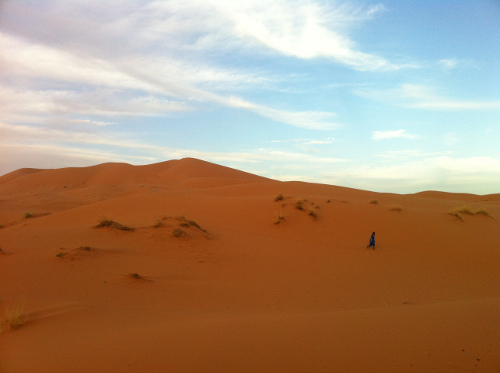 One of our guides—a lone wolf. Group shot! 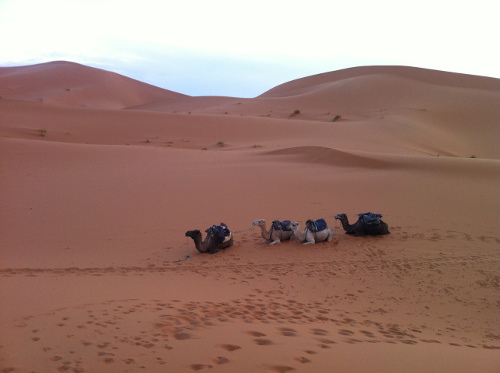 Our camels taking a break. Were we that heavy?? We stopped to admire the sunset. A yolk-yellow against the rust of the sand dunes. A bucket list win.